We are happy to provide pictures of our most recent litter(s) for you to view, and at some time, we may provide pictures of one or more of our wonderful Akitas we may have available for adoption. Our dog's well-being is first and foremost in our minds when seeking appropriate homes for them, and whether it be our breeding, a co-breeding, or use of our stud dog, we will strive to find suitable homes for each puppy or adult we seek to place. 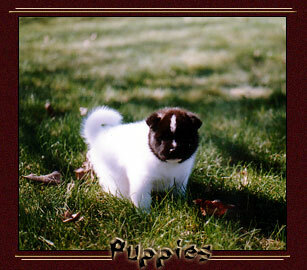 Due to some downsizing, we are offering some of our outstanding Akitas to the right homes. Please see each of their individual pages on our website by clicking their names and contact Cindy. 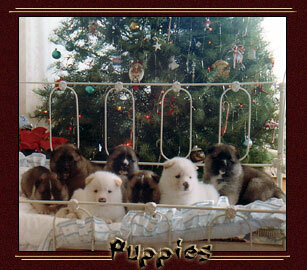 Please visit our Breedings Page for news on our exciting plans! Site Menu © Copyright 2004-2011 Yakedo Akitas.